Contact us with information about your project including the number of tracks you want mastered. Send in a loss-less stereo format such as wav or aif preferably at 16/24 bit @ 44.1k - 48k up to 192k. 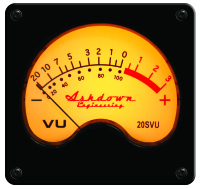 The result after the mastering will be better if you send a mix that is not too compressed or limited on the stereo bus. Please leave 3-5 db of headroom on your mix when bouncing down. ... and don't forget to ask about embedding ISRC into the master disc. Click here to get your codes. When mastering is completed and payment has been accepted, you will receive a reference master online. If necessary, revisions will be made until you are 100% satisfied. A production CD can also be shipped to you or directly to the replication factory.